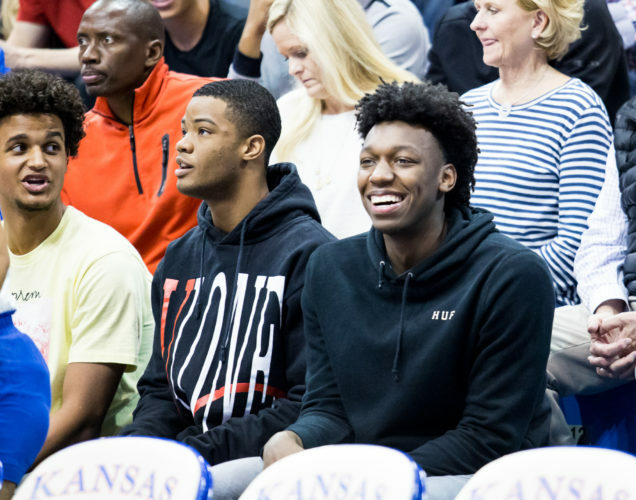 When it comes to defense, Bill Self’s pride and joy as a basketball coach, the 2018-19 Kansas Jayhawks rank 15th in KenPom’s overall defensive efficiency rating, but just 131st in Division I in defending the 3-point shot. Eleven teams knocked in double-digit 3-point makes against Kansas this season and 10 more hit at least eight 3-pointers in a game during the Jayhawks’ 25-9 season that led them to the No. 4 seed in the Midwest region and this week’s date with No. 13 seed Northeastern in Salt Lake City. While all kinds of factors went into KU’s defensive numbers — from size and experience to style and depth — Northeastern’s strong showing as a 3-point shooting team this season (38.8 percent, 14th in Division I) puts the spotlight directly on KU’s 3-point defense, which could very well determine whether the Jayhawks win or lose in Round 1 on Thursday. While the overall perception is that this has been one of Self’s worst teams in terms of 3-point defense, a deep dive into all 34 games to this point paints a slightly different picture. First, KU allowing opponents to shoot 33.6 percent from beyond the 3-point line marks just the fourth worst mark of the past 10 years. The 2016-17 team, which reached the Elite Eight, gave up 35.6 percent 3-point shooting, while the 2013-14 team allowed 35.5 percent shooting and the 2011-12 team, which reached the national title game, surrendered a 34 percent clip from 3-point range. What’s more, that 33.6 percent mark that KU gave up to opposing 3-point shooters this season came on 863 attempts, the second-most against the Jayhawks in the past 10 years. 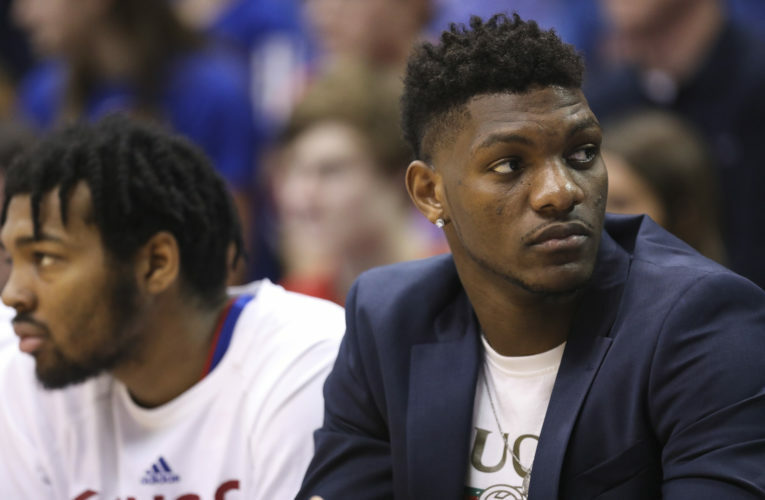 Only last season’s total of 947 attempts, which yielded 33.3 percent, came in higher, and the KU defense’s averages during the past 10 years come in at 32.9 percent on 749 attempts. Because 3-point defense was so often to blame for KU’s nine losses — the Jayhawks allowed 80 makes in 198 attempts, or 41.4 percent, in those losses — it was easy to overrate the issue when it came to breaking down why this team finished third in the Big 12 and dropped below a 3 seed in the NCAA Tournament for the first time in 13 years. But it’s worth noting that KU held its opponents to a lower 3-point percentage this season as many times (17) as they allowed their opponents to shoot better than the statistics said they would entering their head-to-head matchups. In all but one of KU’s losses this season, the Jayhawks’ opponent shot better than their season average. The lone exception came on Jan. 26, at Kentucky, when the Wildcats entered the game shooting 35.7 percent from 3-point range and shot just 4-of-18 (22.2 percent) in an 8-point victory. Before we look back at all 34 games, here are a few notable results that jumped out when looking back at KU’s 3-point defense this season. 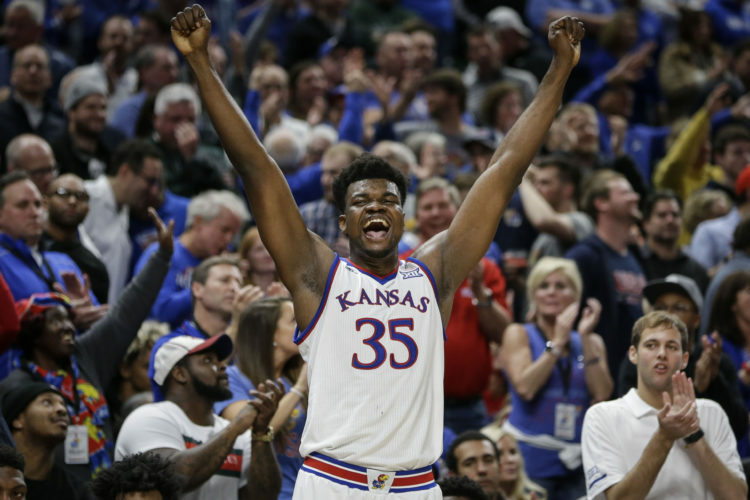 • Against teams shooting 36 percent or better coming into their matchup with Kansas, the Jayhawks held their opponent below its season average five of seven times. 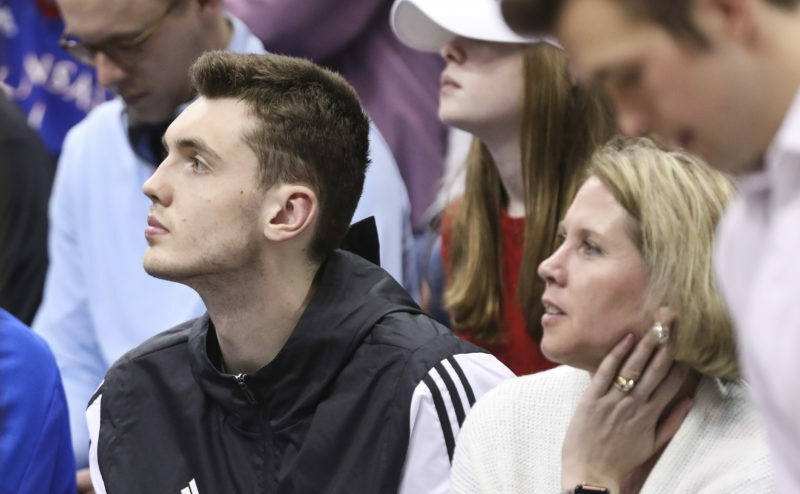 • Granted, it was early, but Louisiana, in Game 3, entered its matchup with KU with the highest 3-point percentage (44.9) the Jayhawks faced all season and the Ragin’ Cajuns shot 33.3 percent in that game. 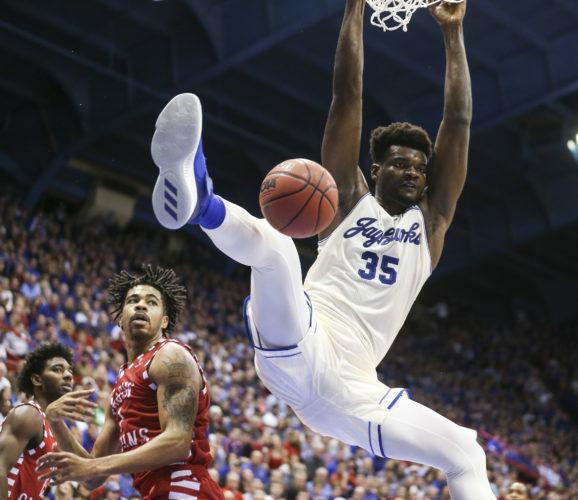 • Against Wofford, which enters the NCAA Tournament ranked second nationally at 41.6 percent, the Jayhawks limited the Terriers to 19.2 percent (5-of-26) from 3-point range, 20 percentage points below their season average at the time they came to Allen Fieldhouse. 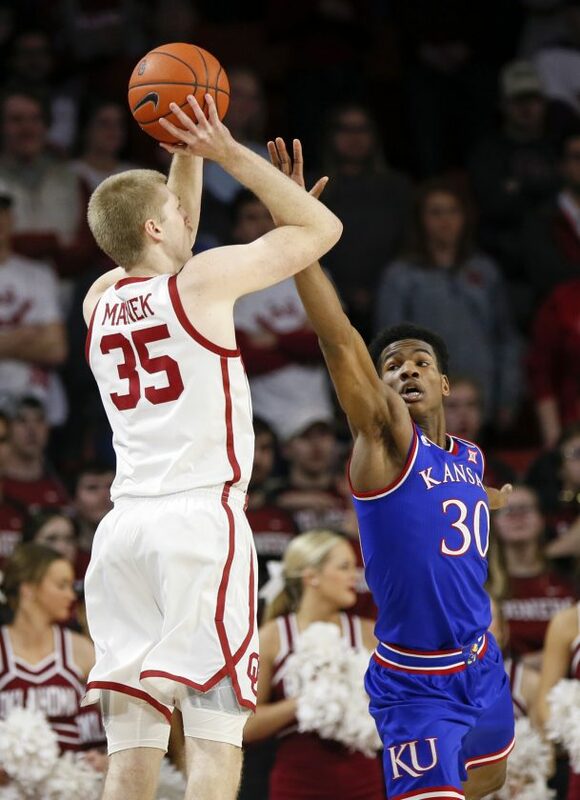 • Against teams that entered their game with KU as below-average 3-point shooting teams to begin with (32 percent or worse), Kansas held those teams to an even lower percentage in five of seven meetings, finishing 7-0 in those games. 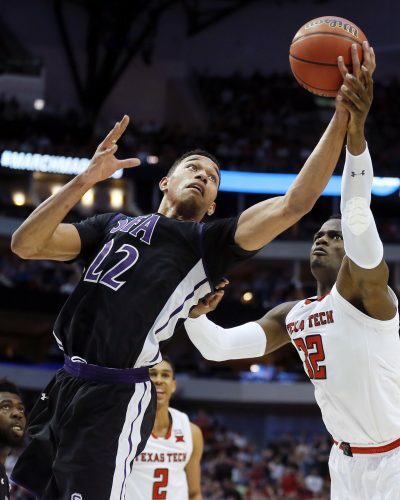 • In Big 12 play alone, including 3 postseason games, 12 Kansas opponents shot better than their season average at the time and the Jayhawks lost seven of those games. It’s hard to say what all of this means for Thursday’s matchup with Northeastern — 3 p.m. on TNT — because even though stats such as these can lead to quality breakdowns of individual games, when the ball goes up, it all comes down whether a team and/or individual players happen to be hot or cold on a given night. That fact certainly has been proven true by KU’s offense as much as its defense, with the Jayhawks shooting 35 percent from 3-point range this season — on 141 fewer attempts than its opponents — but also being outdone behind the arc in eight of their nine losses. Here’s a quick look back at all 34 games of KU’s 3-point defense, including what the team shot coming in, what it shot against Kansas and where it finished the season.